As is the case in privacy laws created after World War II, and widened in the wake of the Edward Snowden leaks in Europe, “we’re going to pay a price” for limiting intelligence-collection when it comes to knowing what adversaries, terrorists and even allies are thinking, the former chairman of the U.S. House Intelligence Committee said Wednesday. 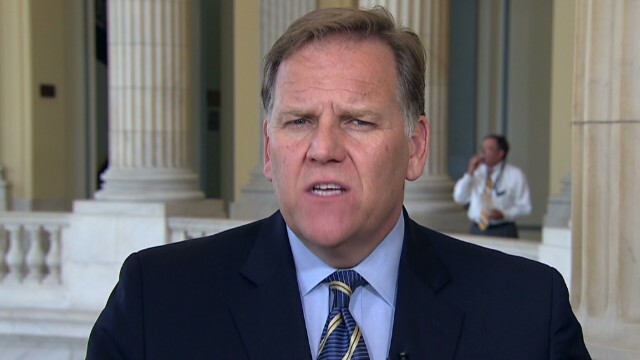 Mike Rogers, speaking at the Heritage Foundation, a Washington, D.C., think-tank, used the CIA as an example of self-imposed restrictions limiting intelligence-gathering. “If you’re not stealing secrets . . . how do you know what their intention is?” such as when China deploys troops for the first time outside its region (to Djibouti in the Horn of Africa) or Russia changes its cyber-use policy and then knocks out Ukraine’s electric grid. The seven-term Republican congressman from Michigan mentioned both countries’ militarization of space as another threat and one that could directly affect American military operations. He noted that the U.S. Naval Academy has decided to again teach sextant-based navigation to midshipmen, in the event global positioning systems are disrupted in a military conflict. “Sometimes your allies can get you in more trouble than you can yourself.” Citing potential actions by Japan or the Philippines with China in territorial disputes, or German trade deals with Iran, “shouldn’t we know?” he asked, what their thinking was beforehand. Rogers, a former FBI agent, said the United States needed to be “as aggressive as we can within the law.” Snowden, a former CIA employee and contractor working at the National Security Agency, turned over classified documents involving both those agencies for publication—first in the United States and United Kingdom 2013, and later in revelations to publications in Germany, Brazil and other countries. Rogers said the Fourth Amendment protections against illegal searches and seizures would continue to guarantee privacy. Also following Snowden’s release of classified information, “the [longtime] alliances of economy and security . . . are starting to part,” Rogers said. As a recent example he cited Apple’s refusal to decrypt a iPhone owned by one of the perpetrators of the terrorist attacks in San Bernardino, Calif., last year at the FBI’s request. The phone was decrypted without Apple’s assistance. Unsettled is the question of future requests from government agencies to unlock smart phones or other devices. Rogers said, “We should stop apologizing for helping” other nations by passing along information about potential terrorist threats to them. “We call that a good day’s work in intelligence.” He said the United Kingdom’s practice of that—to members of the European Union—ended after Snowden’s documents became public. The need for better strategic intelligence exists in the United States as well, he said. In the United States, he said there are more spies operating today than in the Cold War “and they’re stealing everything that isn’t nailed down”—from intellectual property to government secrets, including advanced aircraft designs, “at a breathtaking rate” because of the openness of American society. Rogers said such increased spy activity should be expected. “That’s what the intelligence business is supposed to do,” he said. He said Russia and China differ in their approaches to spying. Moscow prefers to use professional intelligence officers while the Chinese recruit specialists—in the science of engineering and often through companies either directly owned or in part controlled by the government—to collect specific pieces of information.